Last sunset from Mars! More Sience. Greater fidelity. Closer to Mars. 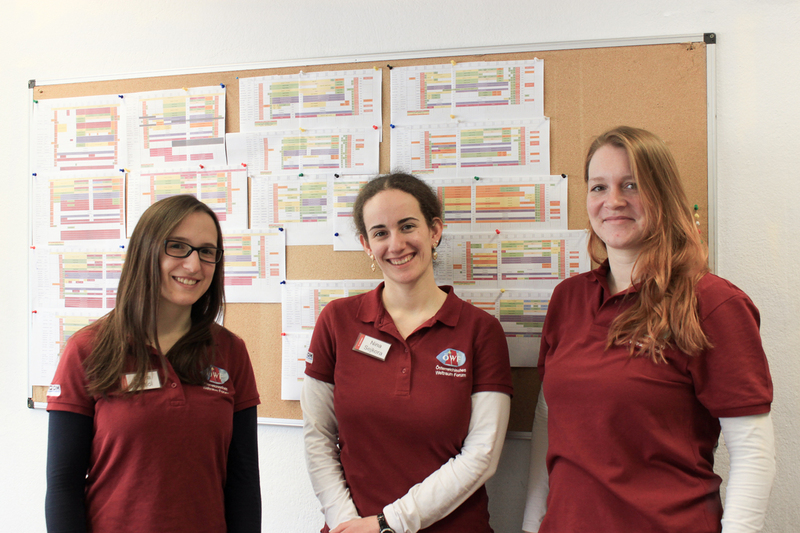 The 12th Mars Simulation AMADEE-18 is over. Thank you to all the people and partners involved. You made this mission possible and together we are getting closer to mars! Its demobilization time! 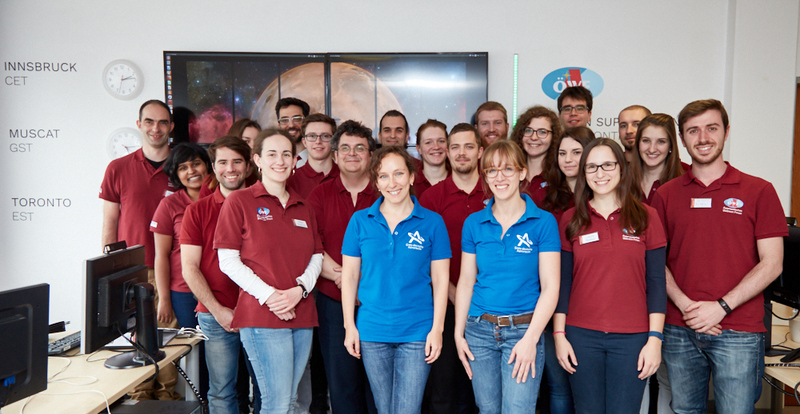 The Amadee18 Mission coming to an end! 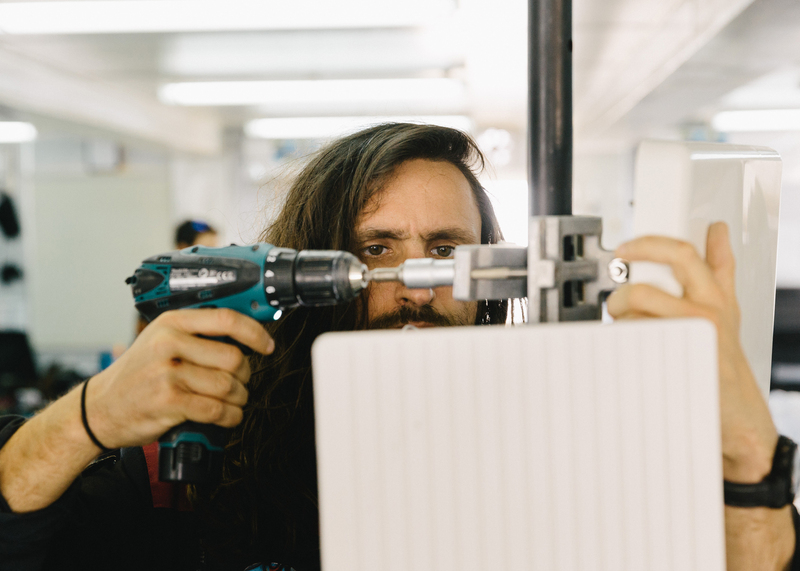 We are glad to have a partner like Lancom at our side who provided us with the equipment for a stable and secure wifi network to ensure connectivity with our analog astronauts during EVAs. We just finished our last AMADEE-18 EVA. 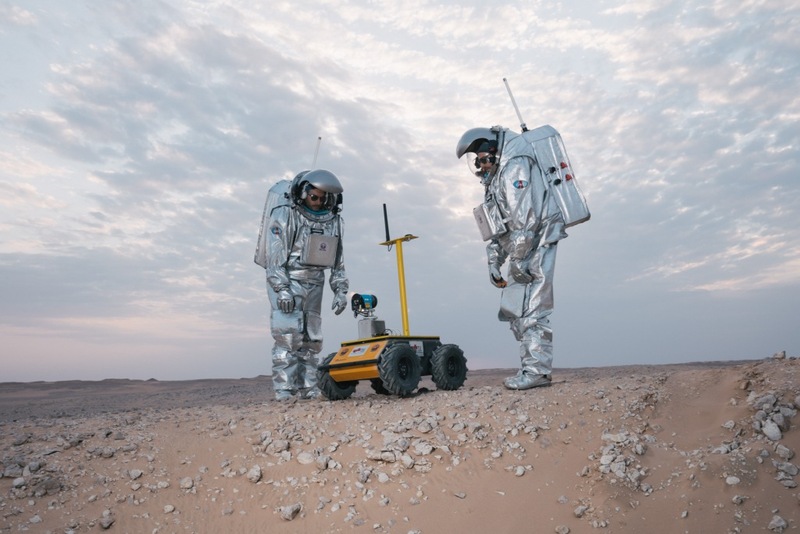 Conducting field research in a representative environment like the Dhofar region in Oman is an excellent tool to gain operational experience and understand the advantages and limitations of remote science operations for future Mars exploration. To establish sustainable settlement, future astronauts may grow some of their meals inside greenhouses. 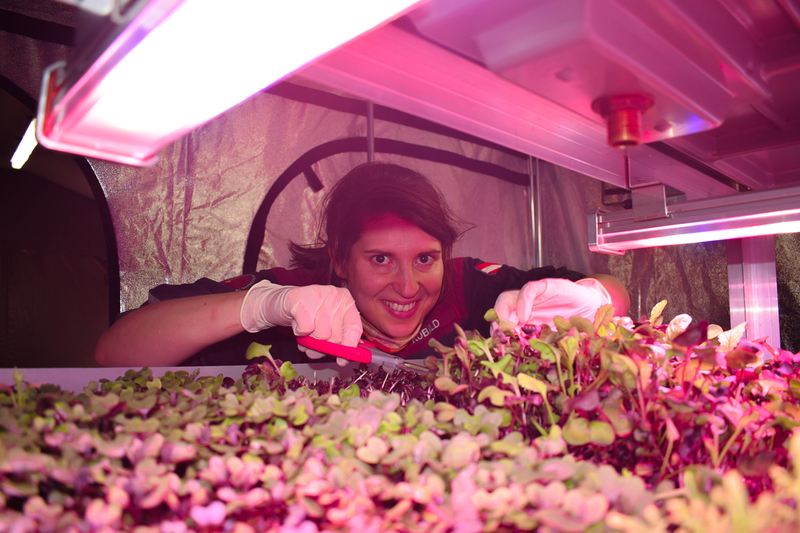 The AMADEE-18 experiment HortExtreme is a mobile, inflatable vertical farming system for the hydroponic cultivation of microgreens. After 12 days of careful monitoring our field crew was allowed to eat the freshly harvested sprouts. Our Flight Planning Team is responsible for the schedule of the field activities, wherein safety aspects, weather forecasts, traverse planning, or individual needs of the scientists must be considered as well as any used goods, human factors, or the needs of the crew. They are in constant exchange with Remote Science Support (RSS) which records and collects the scientific data from the field. 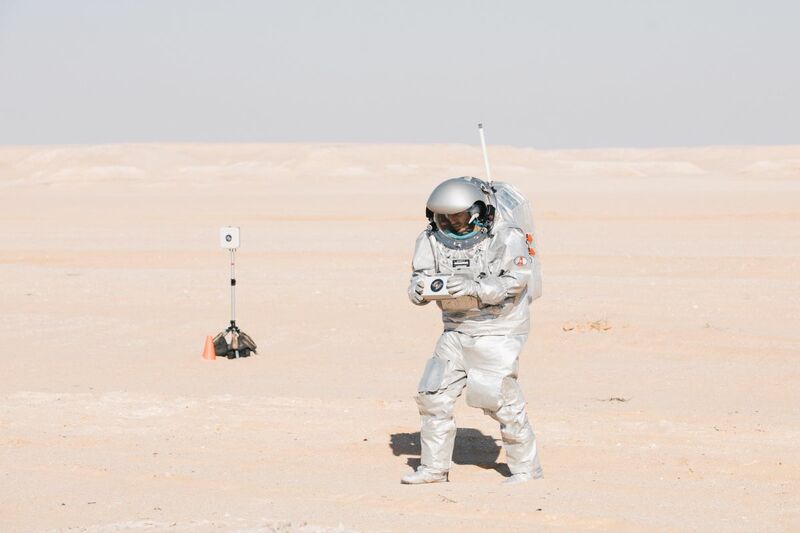 Donning our Aouda suits takes quite some time, and since they are very heavy, the analog astronauts can only wear them for a few hours each day. During this time, they try to get as much “science” done as possible, which is often a tense race against the clock. 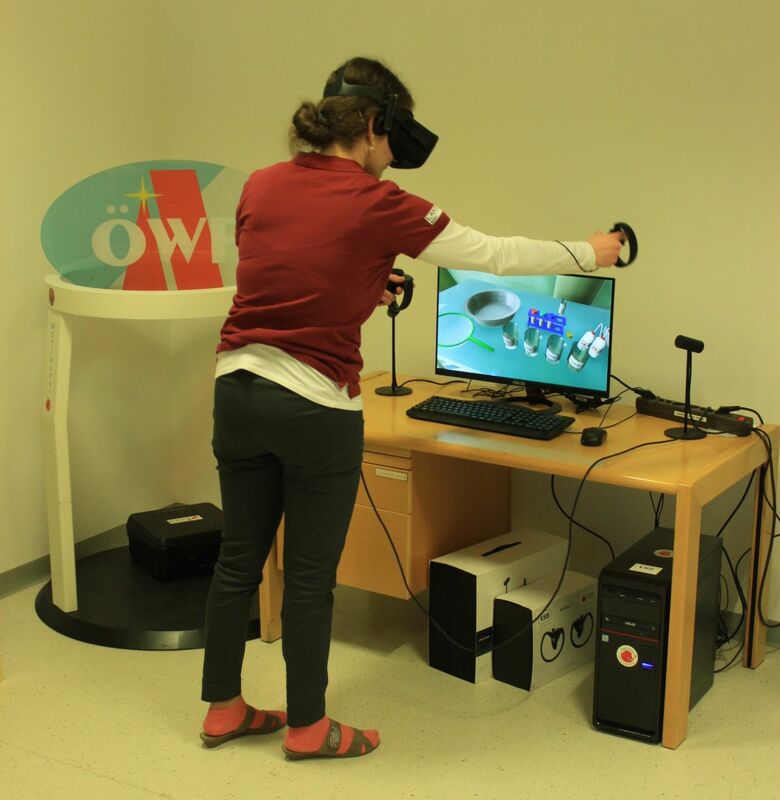 In order to optimize the scientific output of our analog missions, we are testing the use of virtual reality tools to practice the workflows of several experiments, helping us to perform them more efficiently. In today’s picture of the day, flightplan lead Nina Sejkora is using the V(R)ITAGO station to run the Hortextreme experiment. Today, Dr. Bernhard Tilg of the regional government of Tyrol visited the Mission Support Center (MSC) to learn more about our AMADEE-18 mission. He was received by OeWF Board Members Sophie Gruber and Reinhard Tlustos and given a tour through the MSC, getting to know some of the teams behind the mission. In our picture of the day, Flight Director and OeWF Board Member Willibald Stumptner shows the flight control room to Dr. Tilg, going through each position and explaining their tasks. 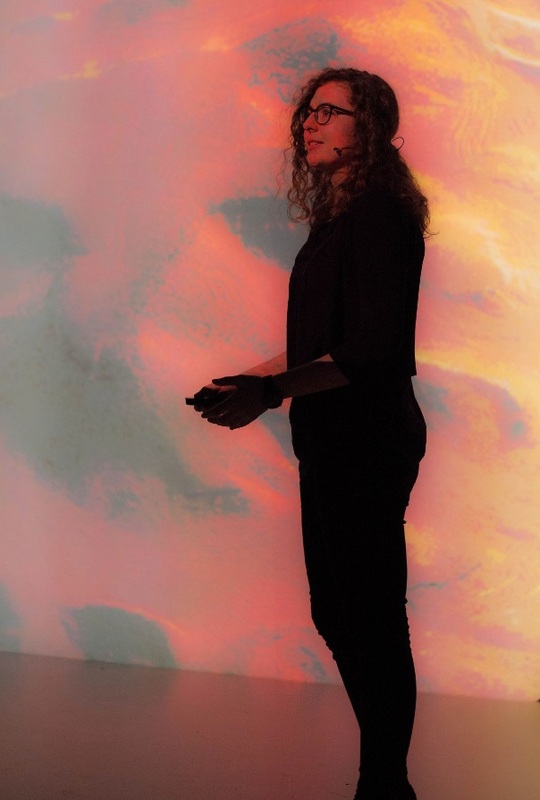 Last Thursday, we dispatched Sophie Gruber of the AMADEE-18 Leadership Team to the Ars Electronica Center (AEC) in Linz, which is one of our official expedition outlets for AMADEE-18. There, she gave a lecture about our ongoing Mars analog mission, where she showcased various pictures from Mars, our Kepler Station in Oman as well as of the analog astronauts in their Aouda suits, explained the experiments that are being conducted and answered questions from an engaged crowd. The lecture was part of a broader program at the AEC this month which highlights various elements of our AMADEE-18 mission. 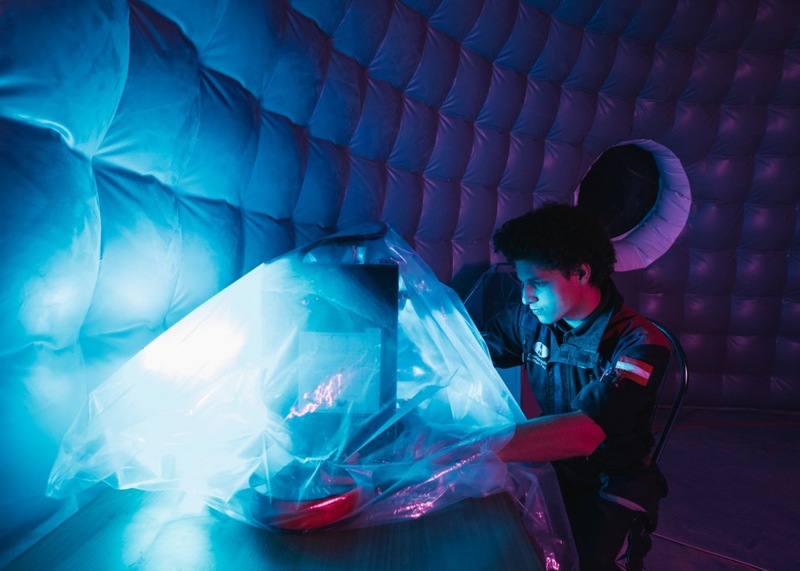 One of the objectives of our analog missions is to find out how future crews of astronauts will perform under conditions of extended isolation. 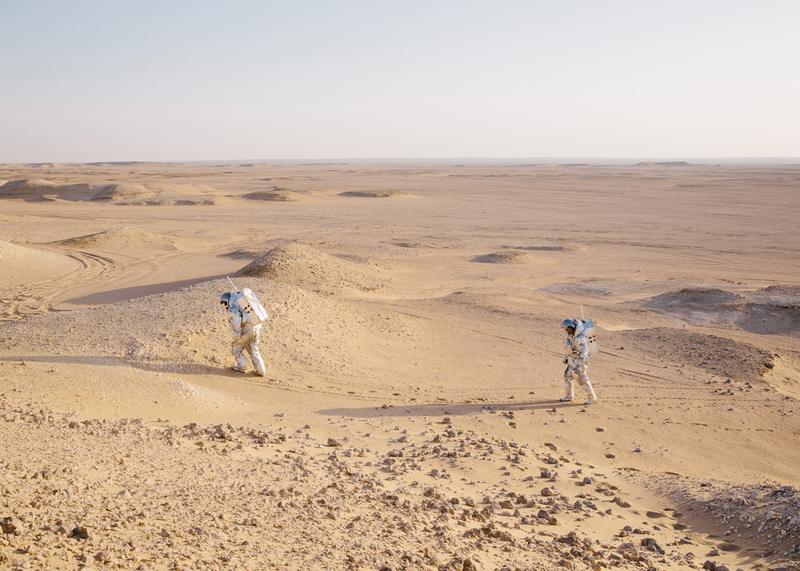 To simulate this, our analog missions require vast, remote locations, just like on Mars. 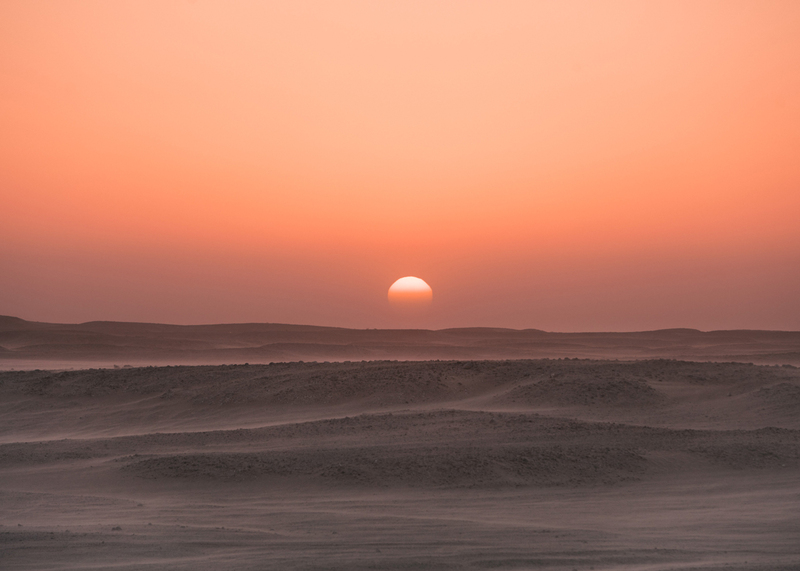 The desert of Dhofar provides the perfect conditions for this, as seen in today’s picture of the day. AMADEE-18 also features an experiment, MIMIC, which will study how isolation and other factors affect crew members during the mission. We’re looking forward to the results! Photo: (c) OeWF (Florian Voggeneder). 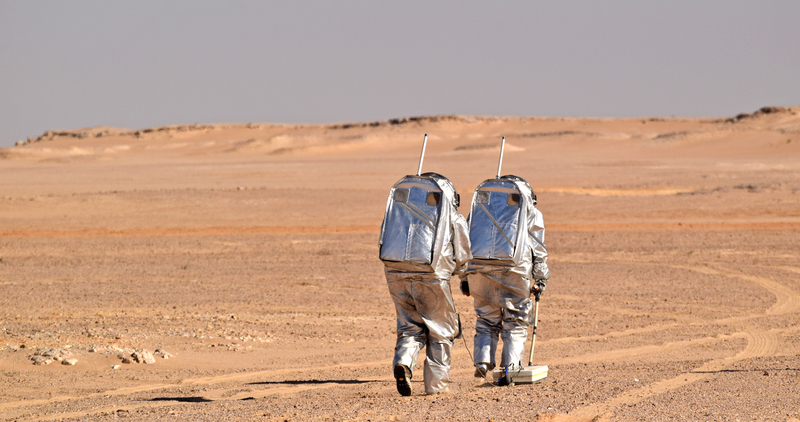 Analog astronauts on quads in the hilly, Mars-like terrain of the Dhofar desert. Photo: (c) OeWF (Florian Voggeneder). 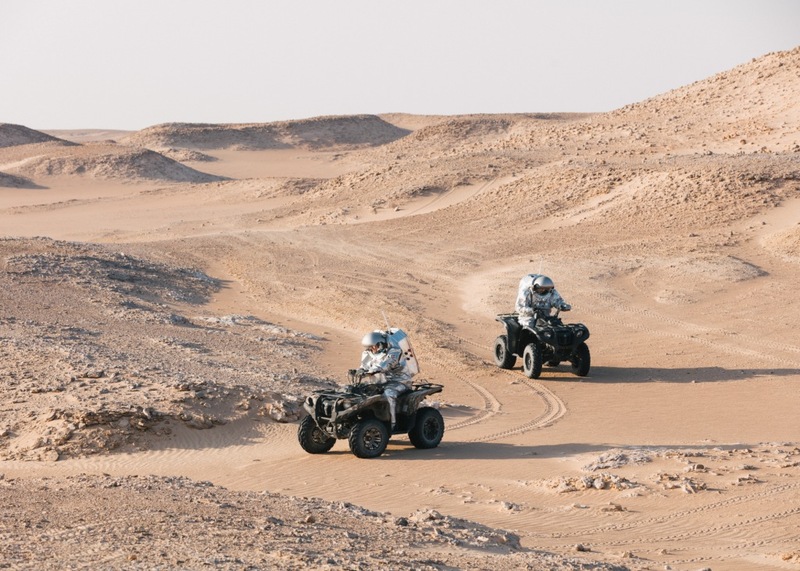 Our analog astronauts are pretty skilled at driving on quads with a heavy spacesuit simulator – especially in this type of terrain, their training becomes very important. Also, a little geology fun-fact: do you see the little wavy structures on the ground in the sand? They are called ripples, are formed by a current (in this case, wind; it can also occur with water though, maybe you have seen ripples at a beach before) and they also exist on Mars – neat! Photo: (c) OeWF (Florian Voggeneder). 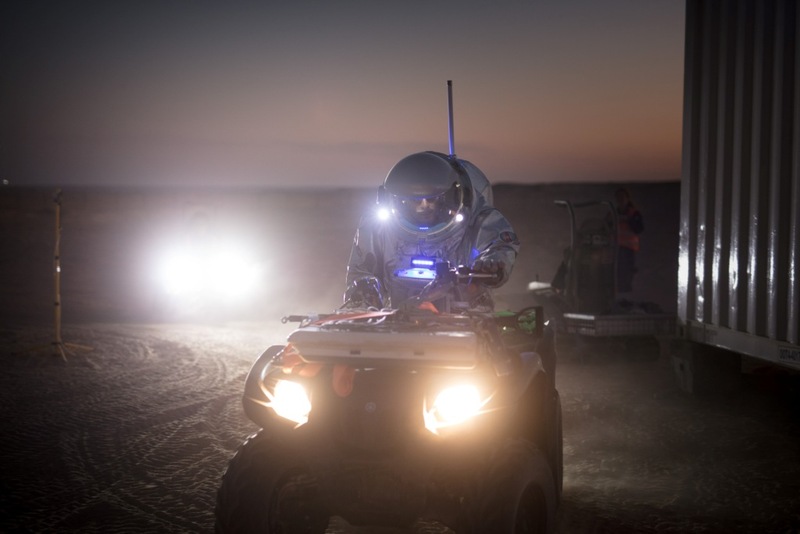 Analog Astronaut Joao Lousada on a quad at night. Photo: (c) OeWF (Florian Voggeneder). Someone’s looking very cool – it’s our analog astronaut Joao Lousada on the quad at night! You can see that the suit has lights, so the analog astronauts can at least see a little bit if it’s dark. Also, have you noticed the blue light? The other suit has a violet light, so you can distinguish the two. Photo: (c) OeWF (Florian Voggeneder). Today, it’s a black day during our mission – no experiments will be conducted today so that everyone can get a break and relax. Tomorrow, we’ll be back up to full speed doing experiments – also Husky, pictured here, the autonomous rover from the TU Graz that supports astronauts and aids in area mapping will be back on soon enough! Photo: (c) OeWF (Florian Voggeneder). If you can see one thing in this picture, it’s that it’s pretty windy and sandy in the surroundings of Kepler Station! 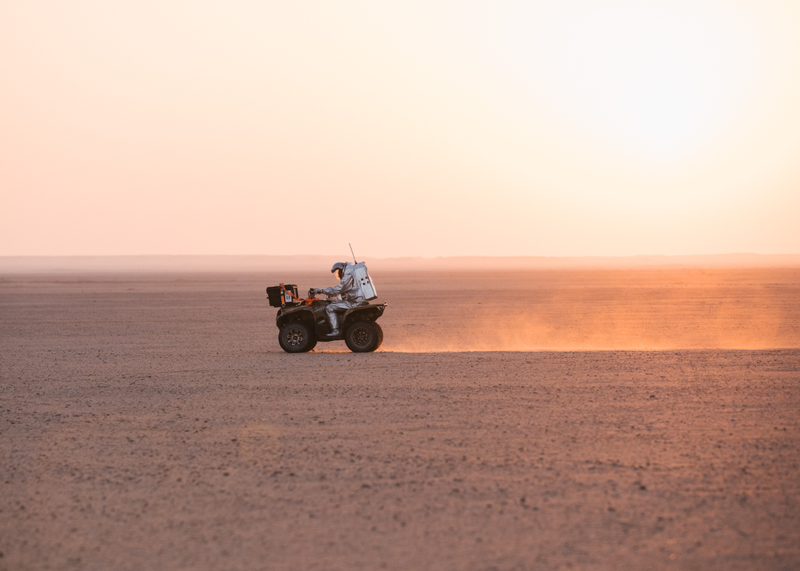 The analog astronauts on their quads and the Ziesel are sure kicking up a lot of dust, which is then instantly blown away – a challenge for everyone but especially technical equipment! It is also why in our Picture of the Day from February 10th, Michael is using a plastic bag over the 3D-printer. Photo: (c) OeWF (Florian Voggeneder). Dr. Saleh, president of the Oman Astronomical Society at the MSC. Photo: (c) OeWF (Paul Santek). 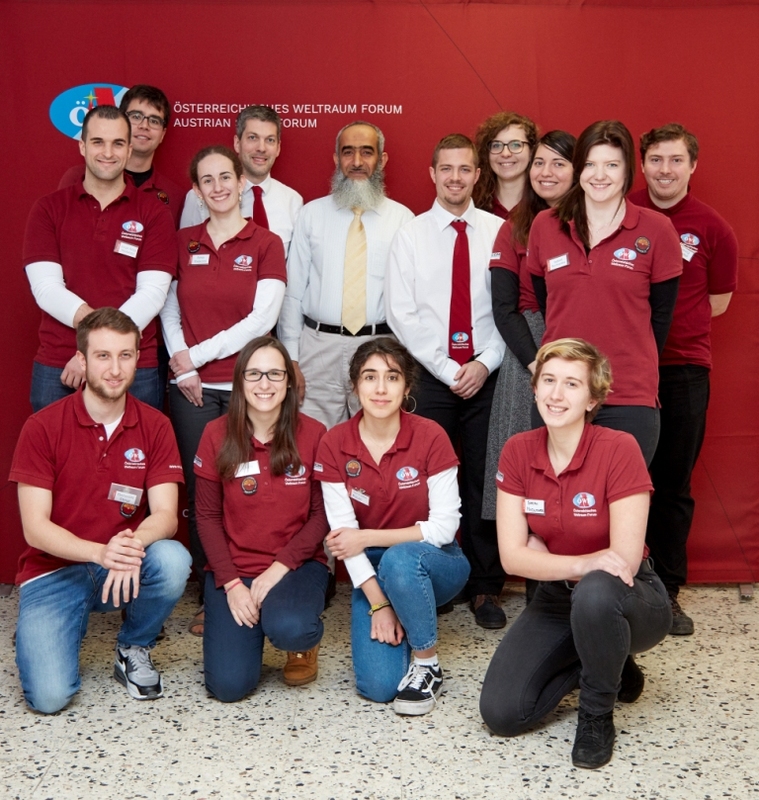 Last weekend, we had a very special visitor at the Mission Support Center (MSC) in Innsbruck: Dr. Saleh from the Oman Astronomical Society! He visited the MSC and got a tour of the whole place, taking everything in very interestedly. We are happy and proud that he visited us! Photo: (c) OeWF (Paul Santek). An analog astronaut using a hammer during an experiment. Photo: (c) OeWF (Florian Voggeneder). 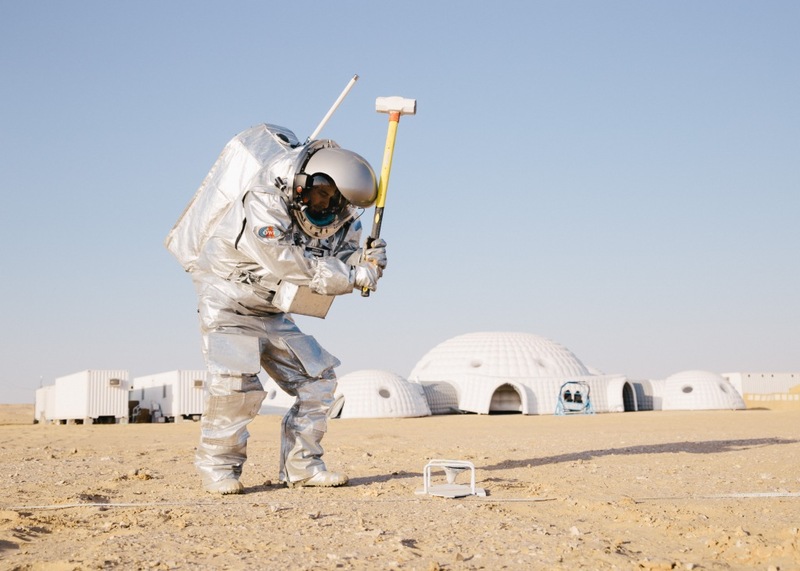 An Analog Astronaut using a hammer for an experiment in the desert, with Kepler Station in the background. The experiment, called Water Explorer, aims to find subsurface water using seismic waves produced by hits with the hammer. It is another one of our junor researcher experiments. Photo: (c) OeWF (Florian Voggeneder). Michael Müller working on his experiment A3DAPT-2-Mars. Photo: (c) OeWF (Florian Voggeneder). Shown here is Michael Müller (TU Graz), working on the 3D-printer for the A3DAPT-2-Mars experiment. He’s one of our junior researchers. For his project, he does 3D printing operational workflow experiments for crewed Mars expeditions. Photo: (c) OeWF (Florian Voggeneder). 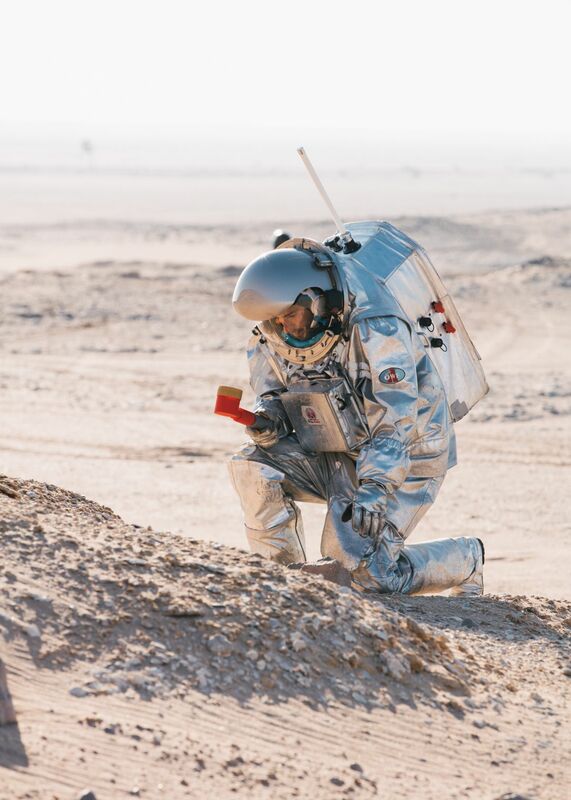 This is a picture from yesterday’s EVA (extravehicular activity), showing two Analog Astronauts doing an experiment in the desert. It was a big moment, since it was the first EVA during the isolation phase. Photo: (c) OeWF. 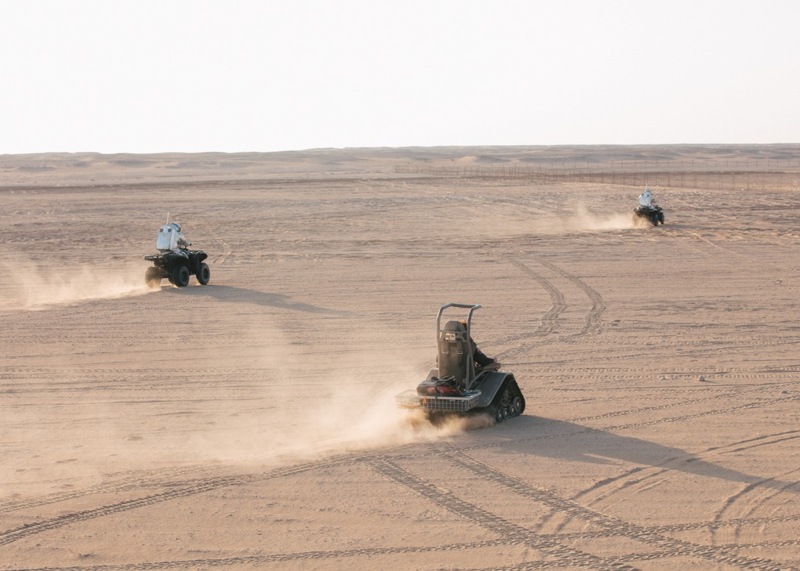 An Analog Astronaut rides a quad in the Oman desert, in front of the newly named “Kepler Station”. (c) ÖWF (Florian Voggeneder). Today, the isolation phase officially started! The base, pictured here in the background, has now been renamed “Kepler Station” in honor of the famous astronomer Johannes Kepler. 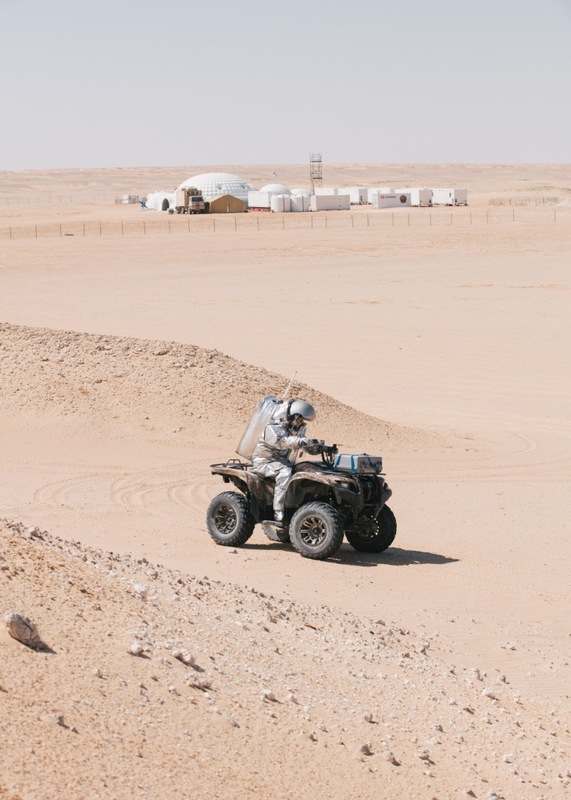 In this picture, an Analog Astronaut can be seen in the desert, riding a quad. (c) OeWF (Florian Voggeneder).